MONTEZUMA, Iowa (AP) — Authorities said on Tuesday that they have charged a man living in the U.S. illegally with murder in the death of an Iowa college student who disappeared a month ago while jogging in a rural area. 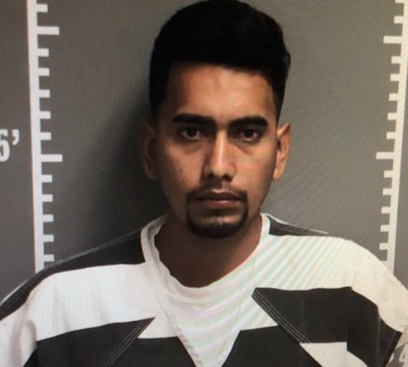 Iowa Division of Criminal Investigation Special Agent Rick Rahn said that Cristhian Bahena Rivera, 24, was charged with murder in the death of Mollie Tibbetts. Investigators say they used surveillance video in tracking down Rivera. The video showed Tibbetts, 20, jogging in a rural area near her hometown of Brooklyn as well as Rivera’s car. Police announced the charge at a press conference just hours after they found what they believe to be the body of Tibbetts in a field covered with corn stalks. Tibbetts was last seen July 18 in Brooklyn, a rural town of about 1,400 people, as she took a routine evening jog. It’s unclear whether she returned to the home where she was dog-sitting for her boyfriend and her boyfriend’s brother, who have said they were both out of town . She was reported missing by her family the next day, after she didn’t show up for work at a day camp for children. Police say a body believed to be that of 20-year-old college student Mollie Tibbetts has been discovered in a rural area near where she went missing last month. The Iowa Division of Criminal Investigation says the body was found Tuesday morning in rural Poweshiek County, which includes Tibbetts’ hometown of Brooklyn, Iowa. Tibbetts has been missing since July 18, when she was last seen jogging through the streets of Brooklyn. Investigators believe they have found the body of Mollie Tibbetts, a University of Iowa student who has been missing for more than a month. The 20-year-old woman was last seen July 18, jogging in her hometown of Brooklyn in central Iowa. Greg Willey, the vice president of Crime Stoppers of Central Iowa, says a body found Tuesday is believed to be Tibbetts. No information has been released about where the body was found. Willey says a nearly $400,000 reward fund for her discovery will now become a reward for information leading to the capture of any suspects. 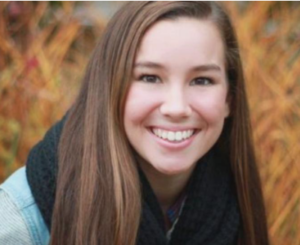 IOWA CITY, Iowa (AP) — Investigators believe they have found the body of Mollie Tibbetts, a University of Iowa student who has been missing for more than a month.